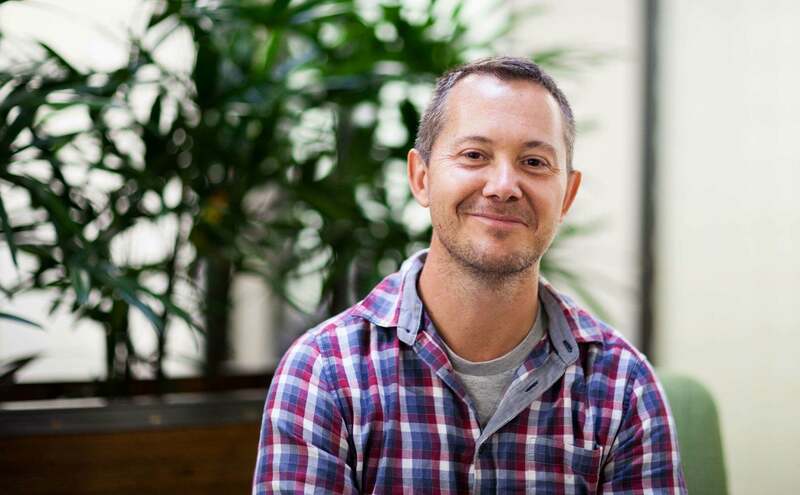 If you’re a city-slicker working 9 to 5 and feeling the grind of life in the Big Smoke, chances are you’ve dreamed of greener pastures, of skipping town and moving to the country to live a life of simplicity, surrounded by nature’s bounty. For many of us this dream remains just that – a dream, something we fantasise about as we sit at our desks in our dimly lit offices, churning out the work five days a week. Todd and his partner Jeff on the other hand, were determined to make their dream a reality. Sick of the daily grind and dull drone of corporate life, they decided to purchase 100 acres of land in the Hunter Valley wine region, where they’d build a fabulous B&B and share the joys of their new country life with other heart-weary souls. The plan was simple, really: Todd would cook, and Jeff would renovate. They had a vineyard, which meant they could make wine. They had plenty of land, so they could grow their own food, and even house a few animals. They had everything they needed to make their dreams come true, to live the life they always wanted. But sometimes things don’t always work out exactly as planned. 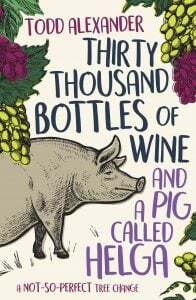 Country life, whilst picturesque, is not always peaceful, especially when you are learning to make wine (which, it turns out, isn’t the easiest of feats), all the while raising a pig named Helga who, whilst painfully cute, wreaks havoc everywhere she goes. 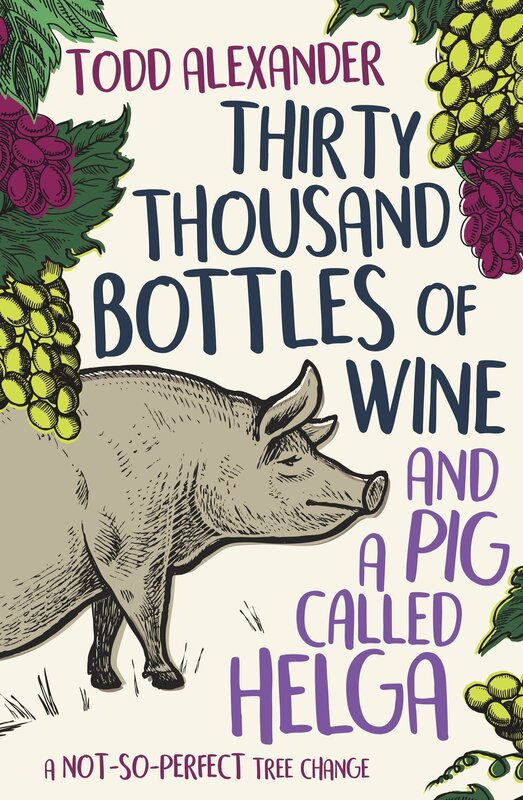 For those who enjoy a good memoir, Thirty Thousand Bottles of Wine and a Pig Called Helga has it all – humour, wit, emotion, and, most importantly, photos of Helga the pig! If you’re looking for a book that will make you chuckle, while challenging you and making you think differently about your life and your goals, then look no further – this is the book for you.